Plugs into your computer's USB port. 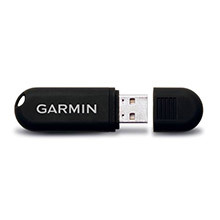 Automatically receives workout data when Foreunner is within range, and stores it in Garmin Connect (web-based) or Garmin Training Center (software). Works perfectly. A little bummed, of course, that the watch requires this rather than simply including a non-fancy-pancy hard-wire connector. Works just like expected, with fast shipping too! May or may not be as good as the original one though. Works great at a fraction of the manufacturer''s cost. I was happy to find this on your website. It was the most inexpensive that I found on the internet. My husband accidentally threw my old one away. Thank you for the prompt shipping! Works great! 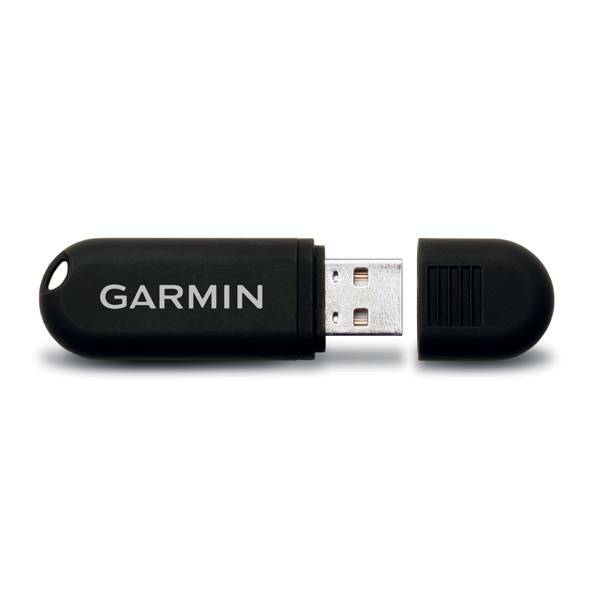 I''m using the Garmin USB ANT Stick to interface with TrainerRoad.com. It works great! GPS4US service was good. But I didn''t get a shipping document with the product. I would have liked to have proof of the shipment and transaction. Best price on the internet for the new USB2 version. Perfect!! Using it for a cycling training program. Works great. No complaints. Great seller too. Works great and much cheaper than buying it straight from Garmin. Keeps your runs up to date on the computer with the USB ANT. Replaced the one I broke for my Garmin 410.